I'm not sure if this is a bug or a feature that I can't figure out how to undo, but I've somehow ruined my ability to easily make horizontal lines by holding Shift with the pen tool. Shift+drag still confines things to 45 degree intervals, the problem is that the intervals aren't aligned with the X-Y axis of the page. No horizontal snapping, no vertical snapping. Now, this is only happening to my current document. If I make a new doc, the snapping is as it should be. But I can't find the option I apparently accidentally changed, and none of the resets I've hit (for the pen tool, rotation) have fixed the problem. 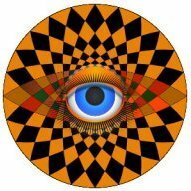 I think you might have pressed the Alt key ⌥ this ignores snapping, press it again. You can find this info out if you look at the bottom of the Affinity window, this gives you context info regarding modifier keys. What about creating a new document and copy/pasting the work into the new document? When you have a workable document upload the file so we can take a look. Ok, this issue is linked to the grid, setting the grid in Grid and Axis Manager to Automatic will allow you to draw horizontal lines. 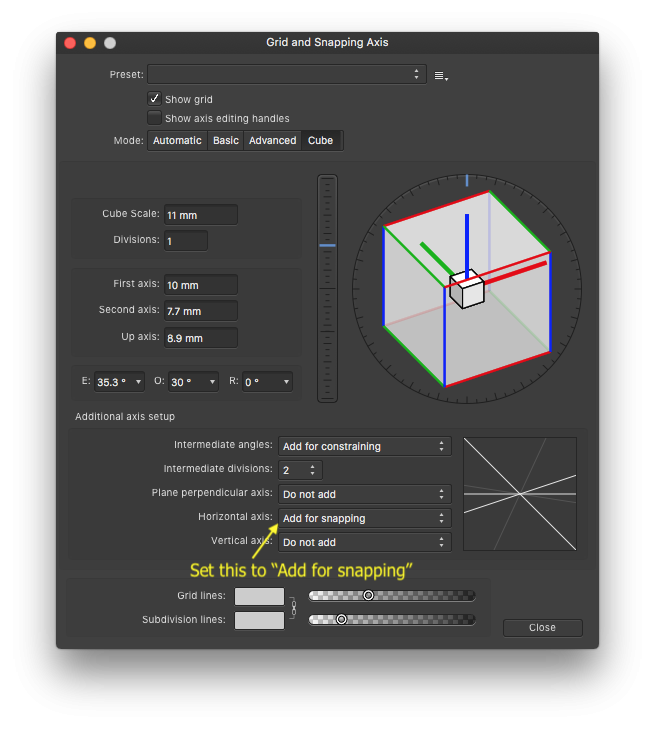 If you want to keep the cube arrangement set the Horizontal Axis to Add for Snapping, see image below. To understand what was happening, if you look at the Axis image under Additional axis setup the pen was being constrained to the off horizontal angled line. If you want vertical snapping as well you will need to change the Vertical Snapping to Add for snapping too.